Power Analytics is a power engineering and software development firm utilizing a patented software platform for advanced power projects, distributed energy resources, and microgrids, including technical and financial power modeling analysis. Power Analytics also provides professional engineering services for commercial and industrial customers ranging from government and privately-owned utilities to petrochemical, oil and gas, and commercial data centers who own microgrids or distributed energy resources, backup generators, combined heat and power (CHP), renewables, energy storage, fuel cells, and wind farms. Power Analytics is a subsidiary of Causam Enterprises. Neo IP is an Intellectual Property (IP) law firm established to maximize the return on investment for IP assets while also protecting them. Neo IP works to empower innovators to impact society for good and to connect them to the resources they need to make positive commercial impact. There are four pillars of IP assurance – monetization, risk management, strategic portfolio development, and acquisitions. Cherokee Investment Partners is an investment company that blends capital with creativity, experience, and resolve to provide superior financial, environmental, and social returns for investors, partners, and communities. Cherokee invests both private equity and venture capital to create value for all involved. Since 1990, Cherokee has invested in more than 550 environmentally contaminated, or brownfield, real estate assets across the United States, Canada and Europe. Cherokee is the world’s only known ISO 14001 certified private equity manager, with a total of five investment funds since 1996, with aggregate commitments exceeding $2 billion. Additionally, Cherokee has managed or invested in over 100 venture companies in environmental remediation, renewable energy, waste-to-energy, energy management, and other fields. Ward and Smith, P.A. is a leading law firm with five offices in the Southeast and recognition from many organizations, including Best Lawyers, Super Lawyers, and American Board of Trial Advocates. Their business and patent lawyers have been thought-leaders in advising businesses about blending the best of new and old legal, technical and business practices. City Gateway is the first mainstream “energy-positive” commercial building of significant scale in the Southeast. City Gateway is a premier mixed-use development in the heart of Downtown Raleigh’s innovation district. With smart building technology, information from various building systems can be leveraged to optimize energy and operational performance, and ensure that the building’s systems produce more power onsite than the building actually requires. Real performance means a better, more productive, and more comfortable work environment. The Research Triangle Cleantech Cluster (RTCC) is an initiative of business, government, academic, and nonprofit leaders focused on accelerating the growth of the Research Triangle Region’s cleantech economy. They promote collaboration and partnership which drives innovation and sector growth and creates competitive advantage for both companies and the region by concentrating resources on a single vision and plan to advance company growth and attract cleantech investment. 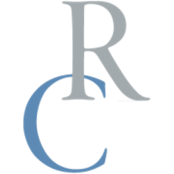 RuyakCherian, LLP is a technology and competition law firm based in Washington, D.C., and is nationally ranked in patent law by U.S. News Best Lawyers. Ruyak-Cherian’s practice have significant experience in Competition Law covering: Anti-trust monopolies, anti competitive agreements and restraints; Patent enforcement and infringement defense; Trade Secret and Business Theft; Fraudlent, Unfair and Deceptive practices; Copyright and Trademark infringement; False Advertising; and Government Regulatory civil and criminal investigations and actions. The firm has represented both plaintiffs and defendants in Class Actions, Insurance Recovery, Shareholder, and Contract Disputes. The firm advises Causam on all areas regarding its Intellectual Property and Patents.